In certain parts of America the local cadet units represent our nation’s Navy – and they do this very well. Cadets perform a variety of types of community service benefiting their hometowns, by participating in roadside and park clean-up efforts and volunteering at public libraries and museums. Cadets also provide support to our veterans through outreach programs and honor guard detachments for memorial services. The virtues of good citizenship and strong moral principles form the core of the program, which works to instill these traits into each cadet. Cadets are not required to join the armed services once they turn 18, but they will enter the adult world having been taught the fundamentals of citizenship and the value of being responsible and productive members of their communities. As an official youth organization of the U.S. Navy and the U.S. Coast Guard, the program educates its members in America’s rich oceanic traditions and teaches them the values of professional seamanship. Training received in the Naval Sea Cadet Corps helps to shape capable and competent Sailors and Officers for our maritime services and merchant marine. While cadets are not required to join the armed services upon graduation, they do so at very high rates. Our units report that every year a growing number of cadets choose to either enlist or pursue officer commissioning programs, such as the service academies, ROTC or OCS. 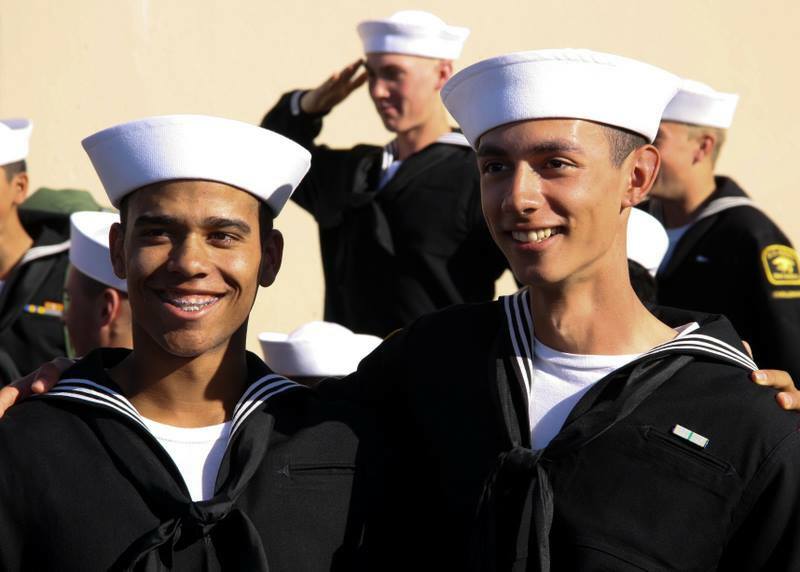 According to former Chief of Naval Operations Admiral Gary Roughead, each cadet who enlists saves the Navy more than $14,000 in life-cycle training costs. Our training program includes a wide variety of quality training evolutions, each based on the proven standards of the U.S. Navy and Coast Guard. Each cadet who enters the armed services is a disciplined, well-trained individual who typically adjusts better to the rigors of military service than those with no experience. Attrition rates of former cadets prior to their completion of obligated service are very low compared to non-cadets who join the military. Contribution to a lower attrition rate means a reduced cost to the U.S. Navy and Coast Guard. Our program provides numerous benefits to its cadets – both tangible and intangible. Our cadets and alumni often cite the feelings of pride, camaraderie, respect and honor associated with their experience in the program. These immeasurable benefits are very important to us. They define us. NSCC engenders among its participants the value of an alcohol-free, drug-free and gang-free lifestyle. Through exposure to a unique team-centric, objective-based environment, cadets learn to demand the best from themselves and others. The program provides cadets with not only the motivation and encouragement to pursue their goals, but also concrete assistance in achieving them. Annually, 17 different scholarship funds are awarded to exceptional cadets who wish to pursue a college education.